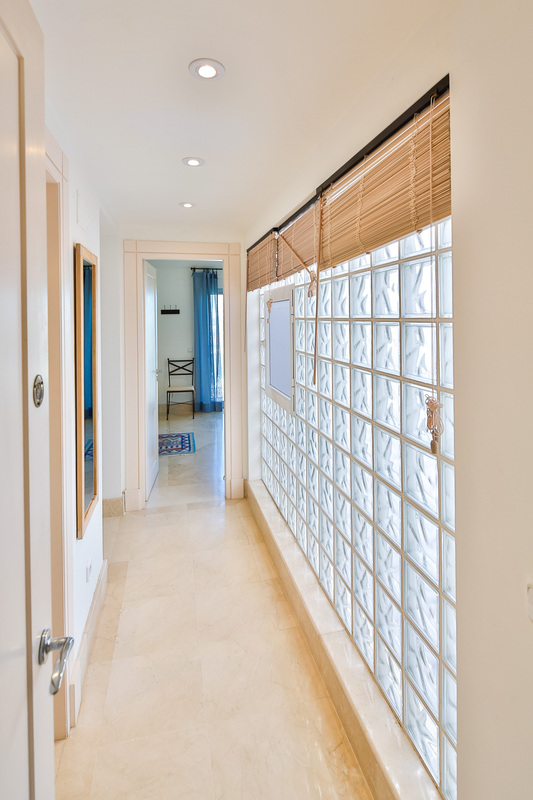 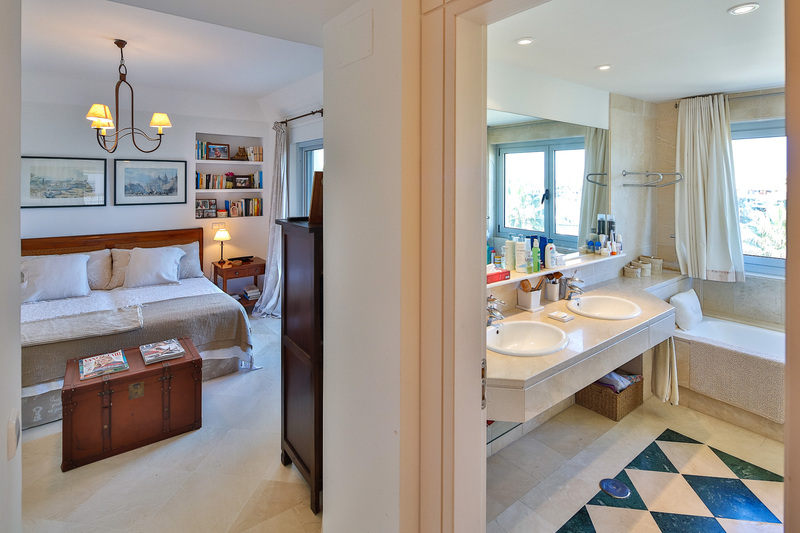 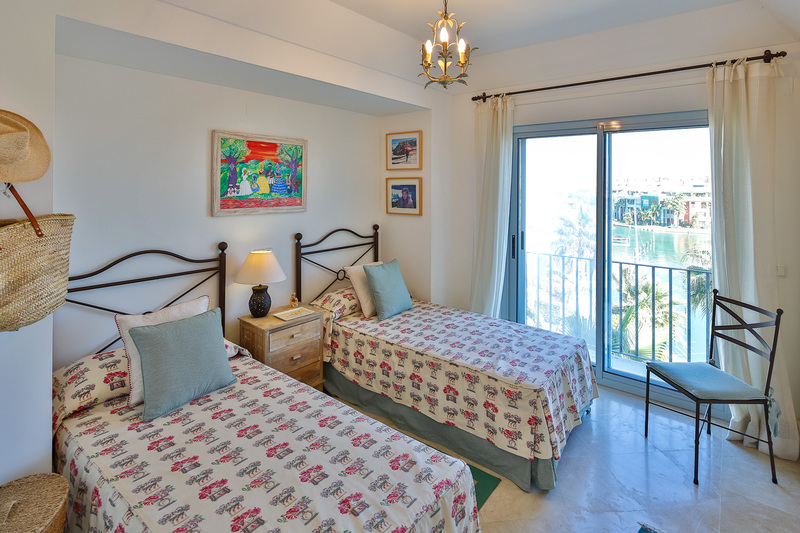 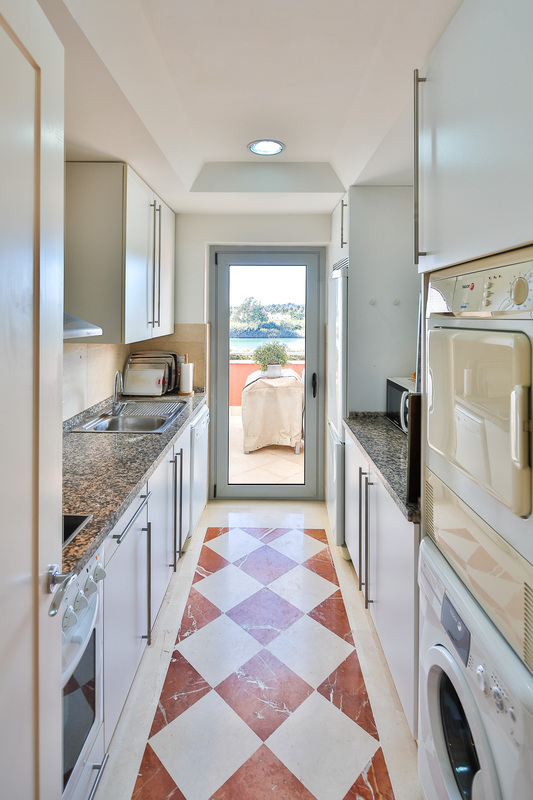 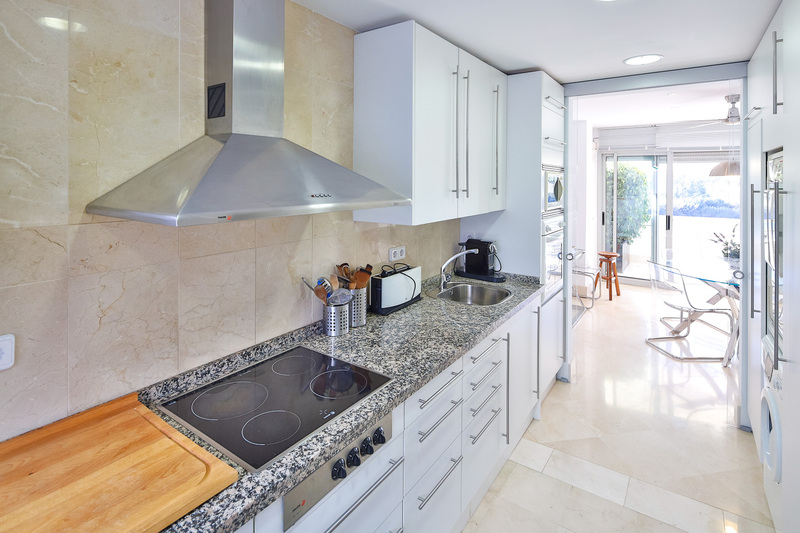 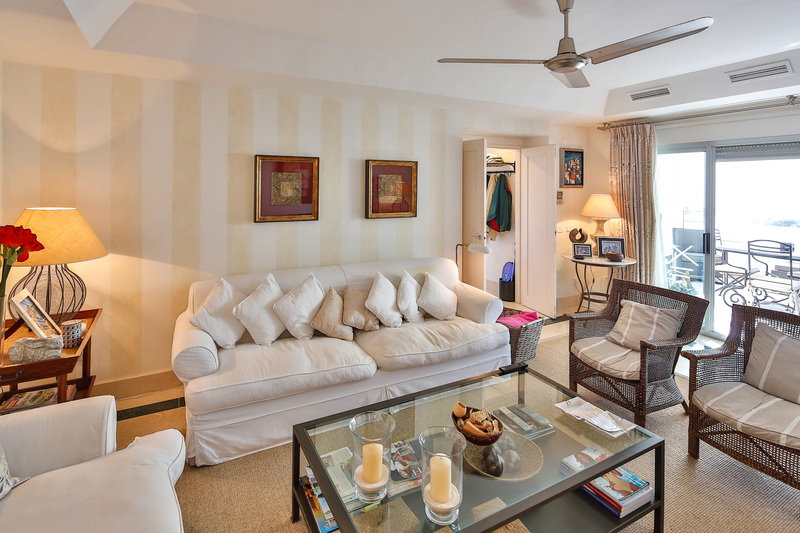 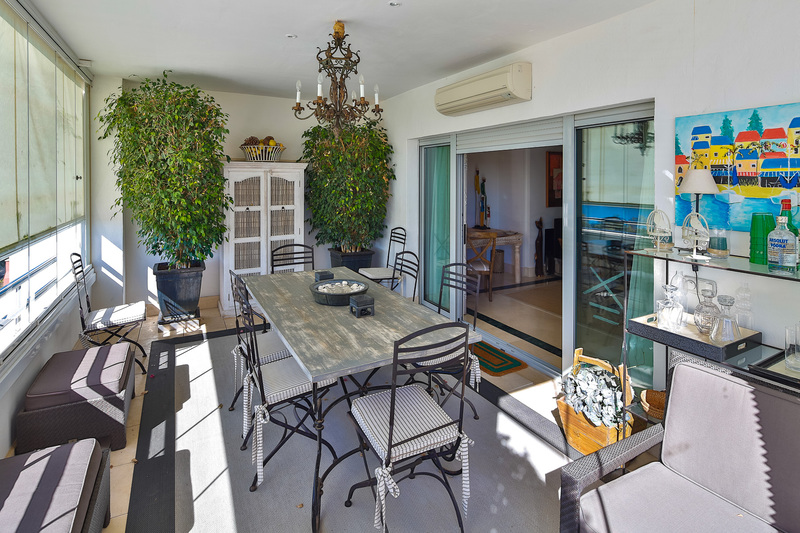 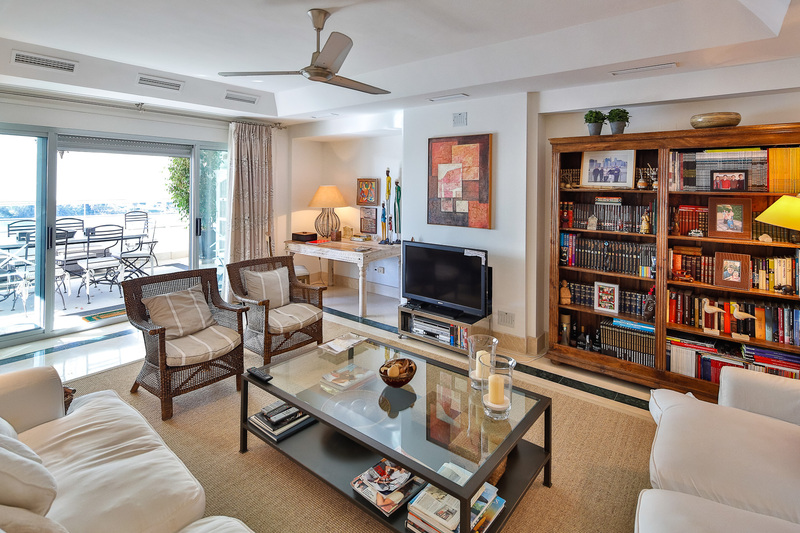 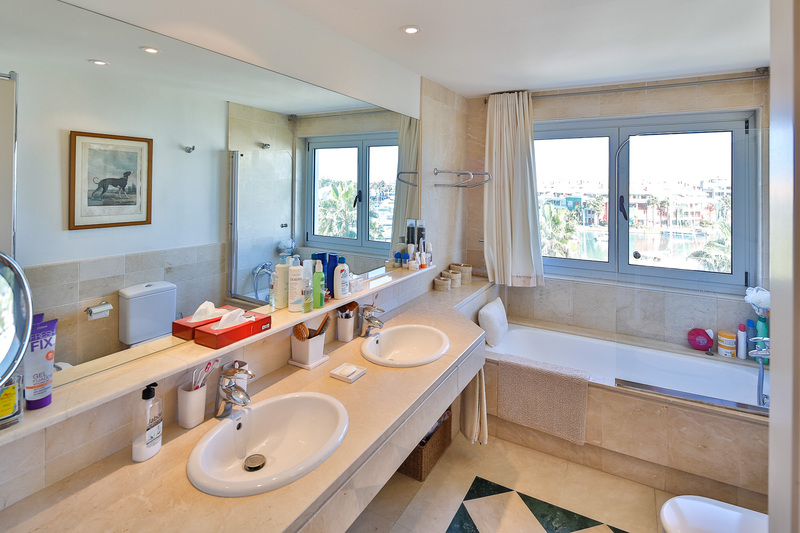 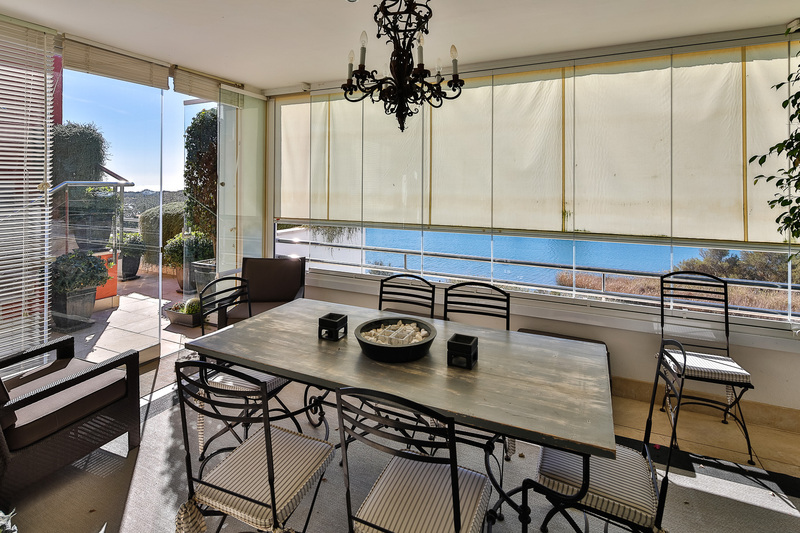 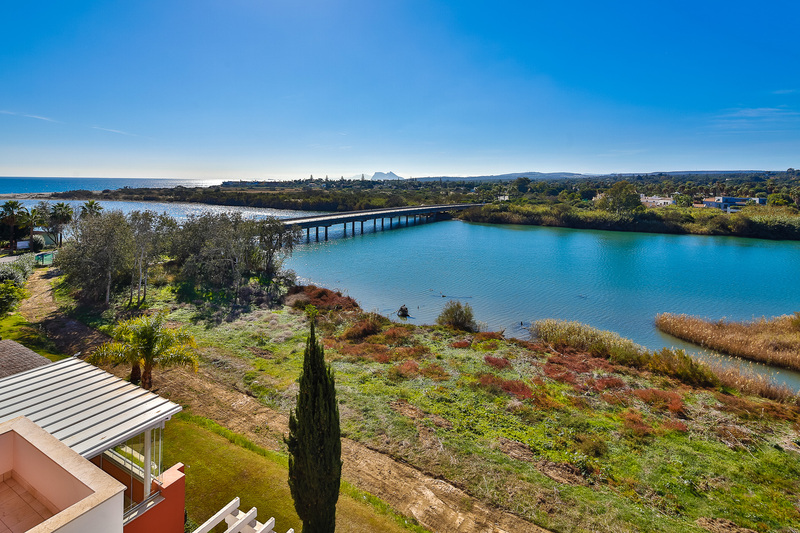 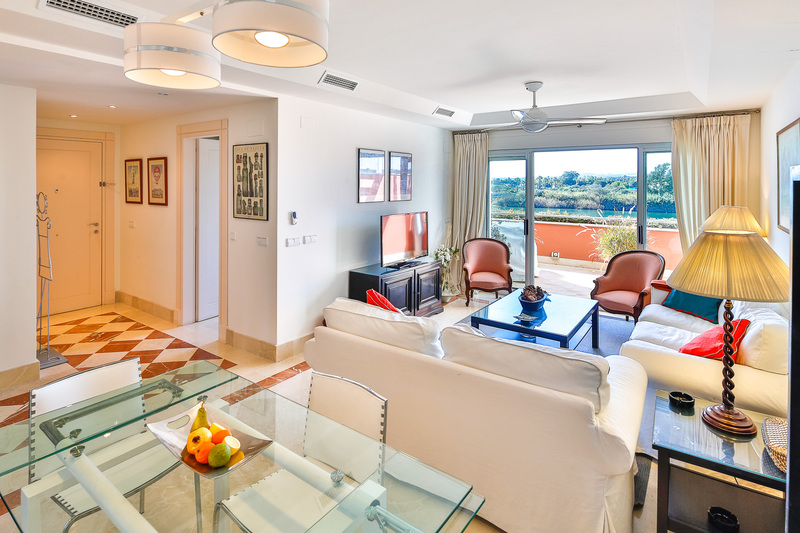 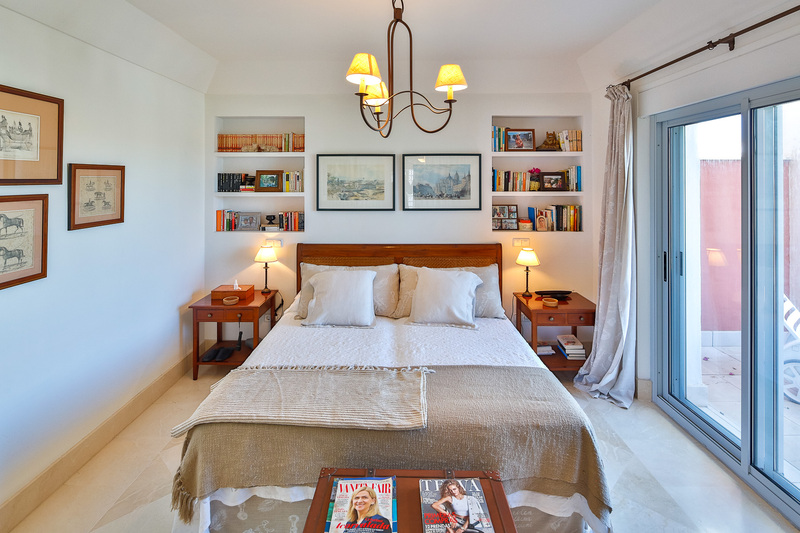 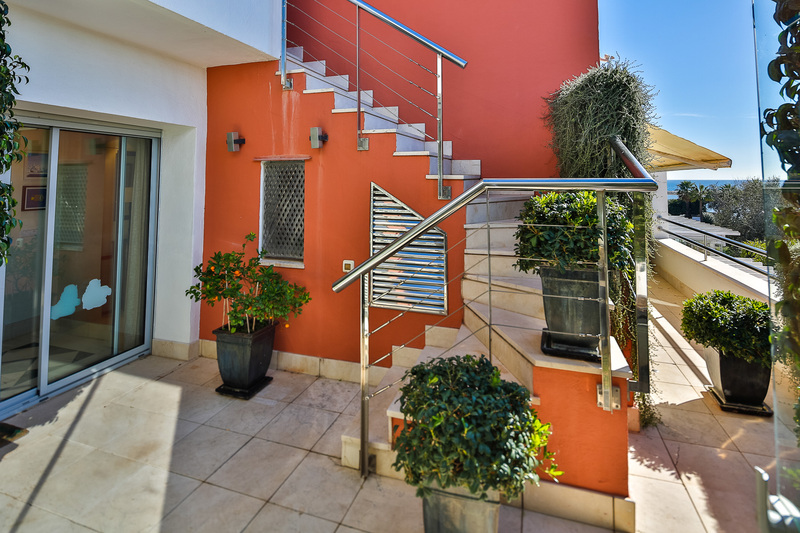 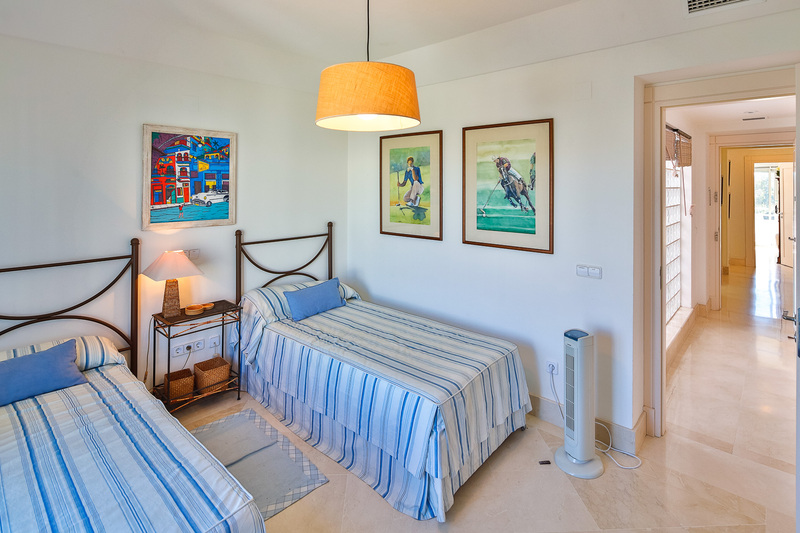 Splendid 3 bedroom ( plus a forth bedroom used as office) duplex penthouse with breathtaking everchanging views of the river, the natural Park with its flamingos, the sea and Gibraltar. 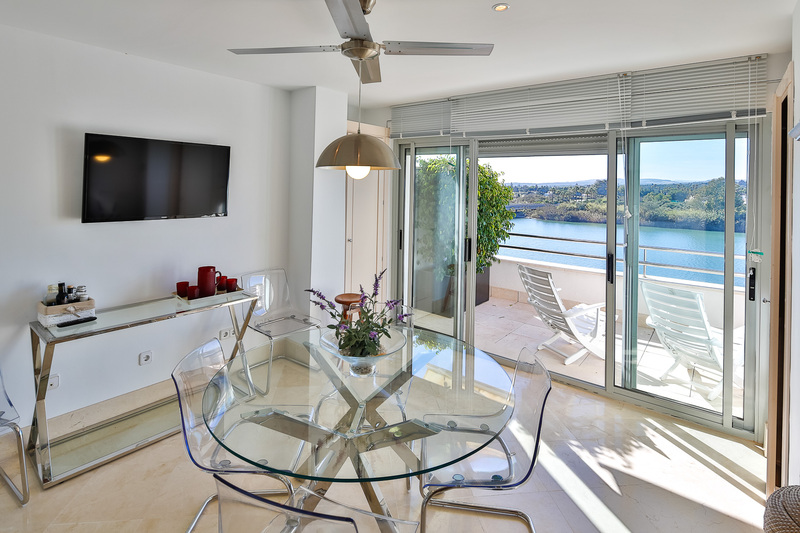 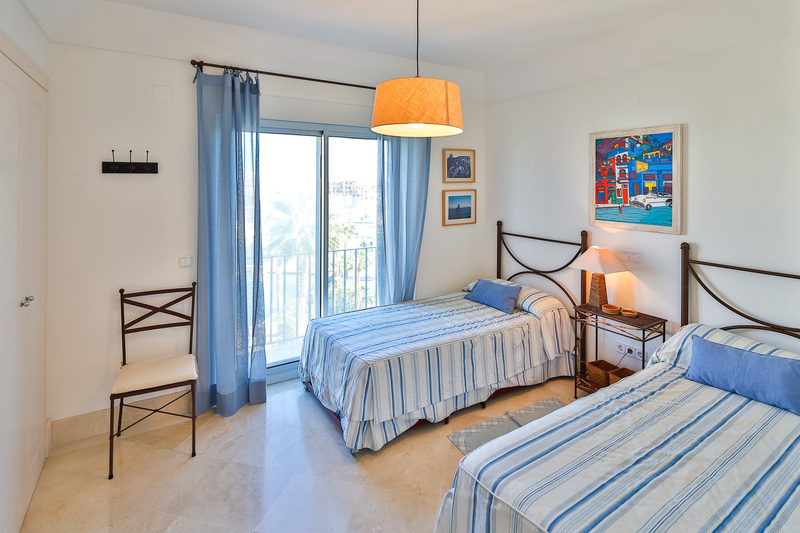 Just below the penthose there is another 2 bedroom apartmente with the same views , that can be easily joined with the penthouse to have a massive 5 bedroom property. 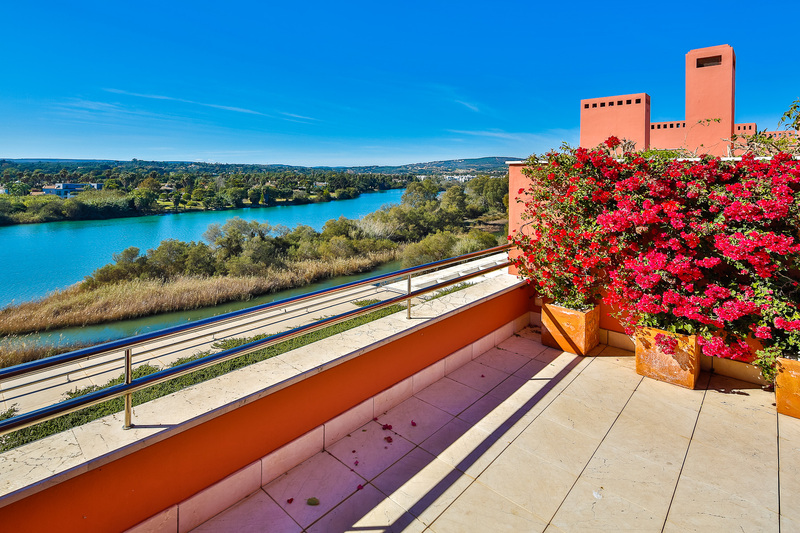 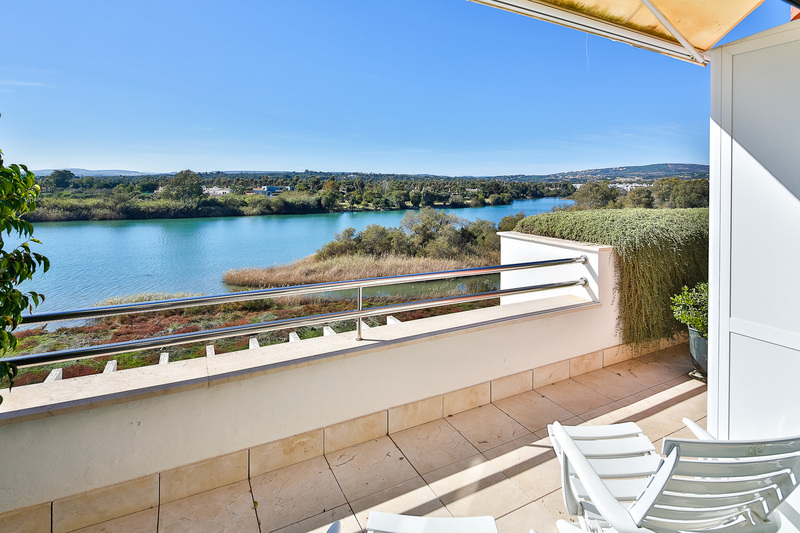 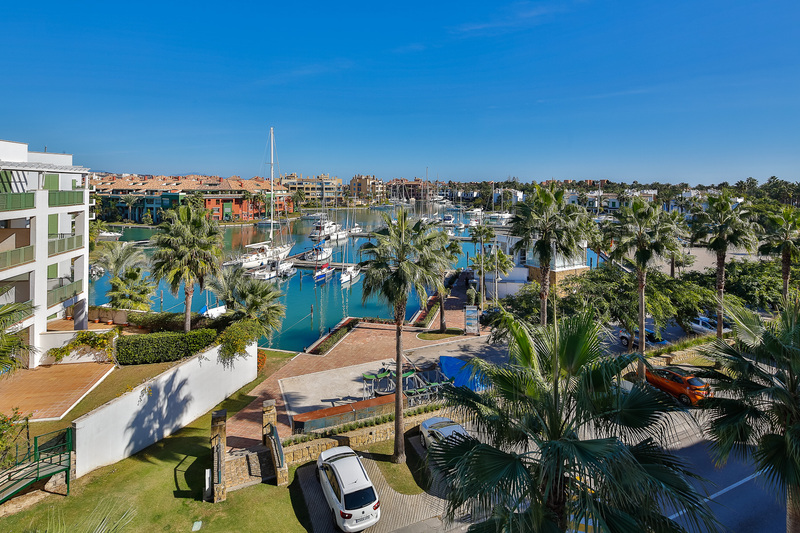 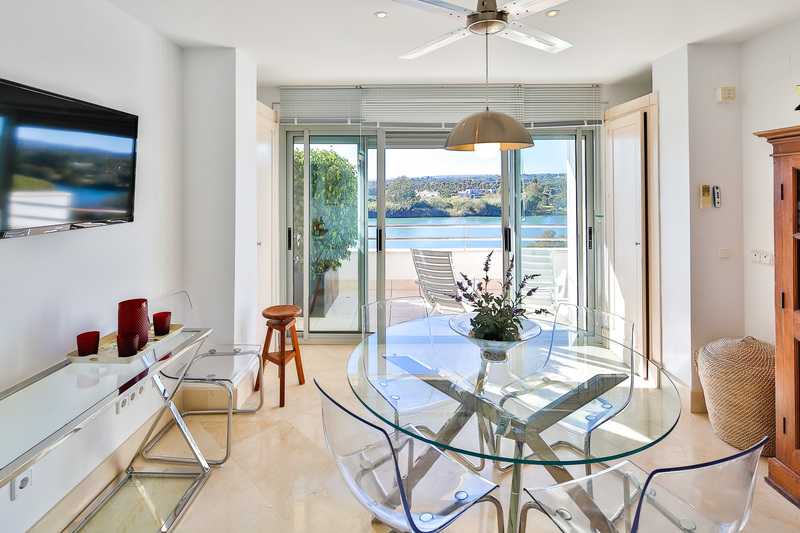 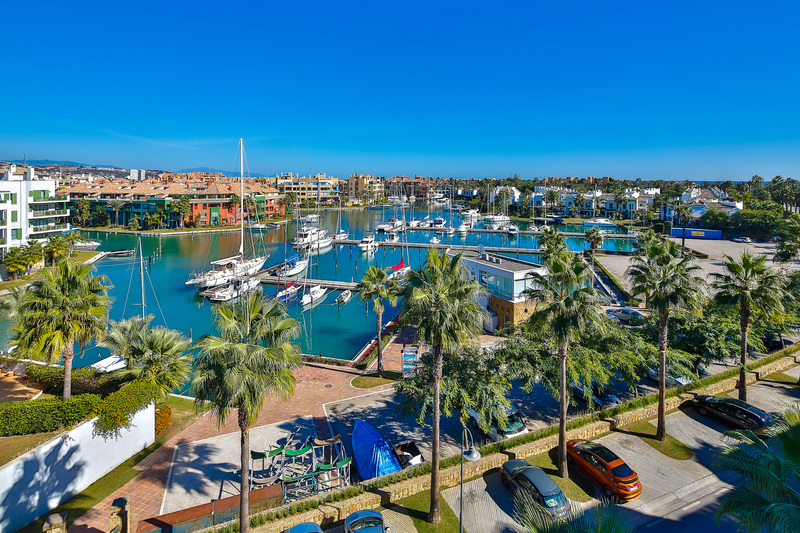 From the backside of both properties you can enjoy a lively panorama over the Marina of Sotogrande. 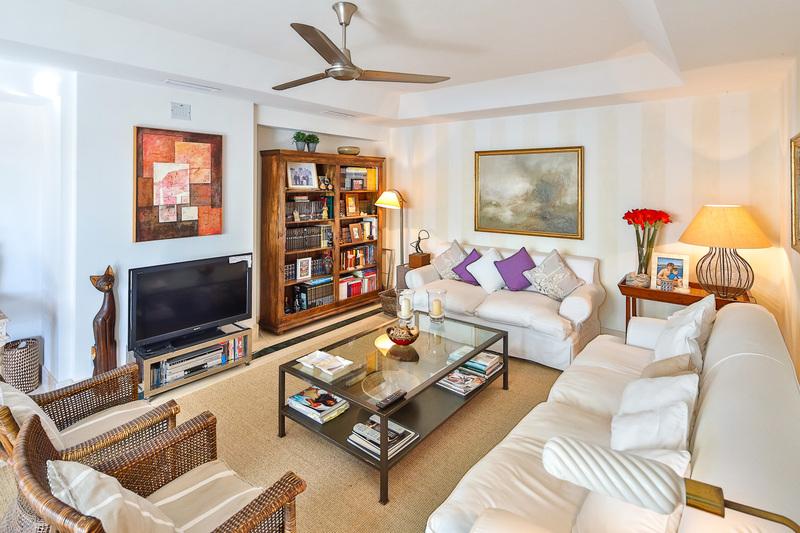 This fantastic property offers 5 bedrooms, two of them en-suite, a guest toilet, a fully fitted kitchen, a family dining room open to the large drawing room, large lounge downstairs. 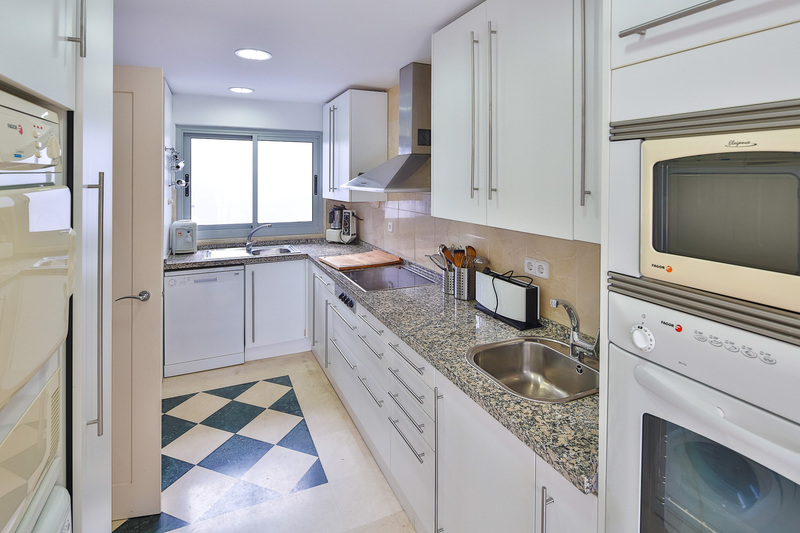 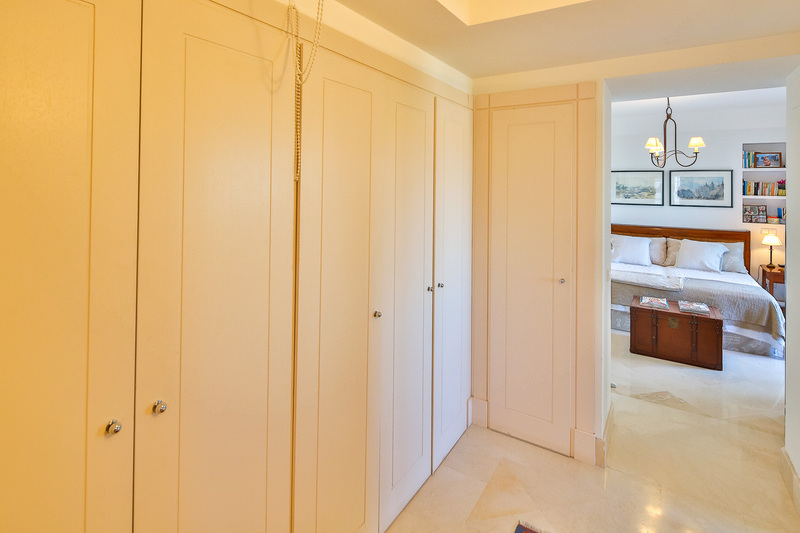 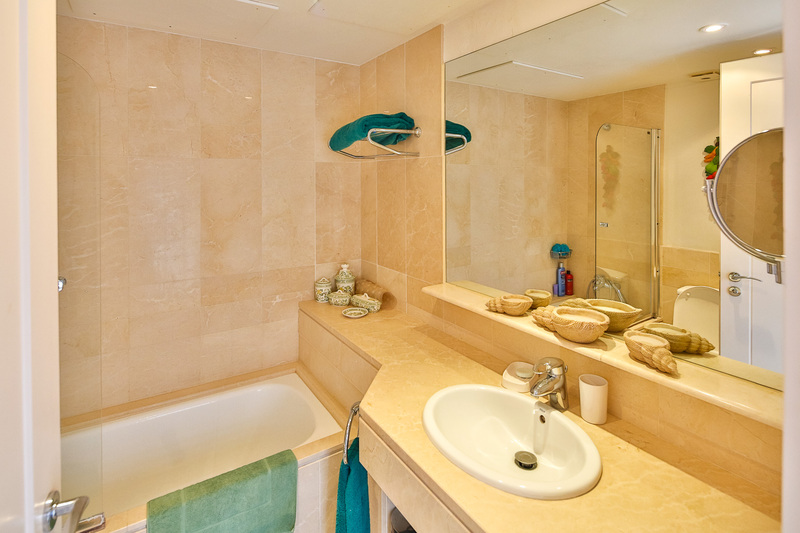 Built ot the highest qualities such as Air condition hot cold, fully fitted kitchen, etc. 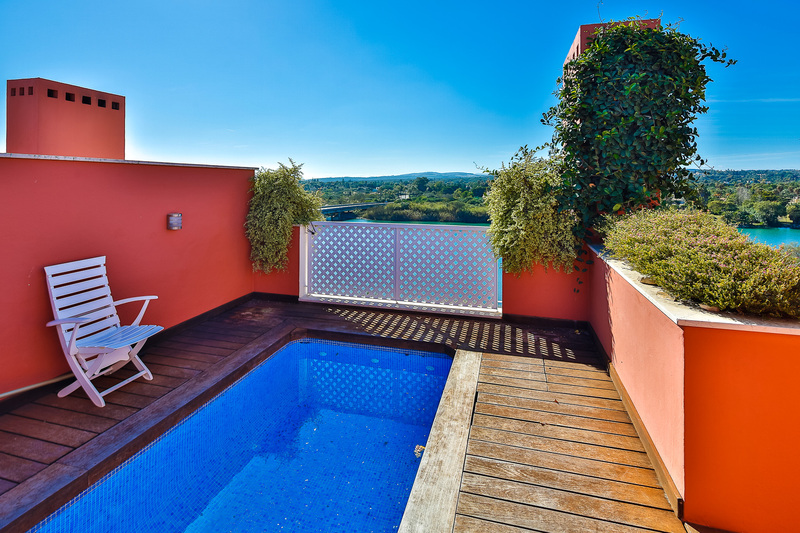 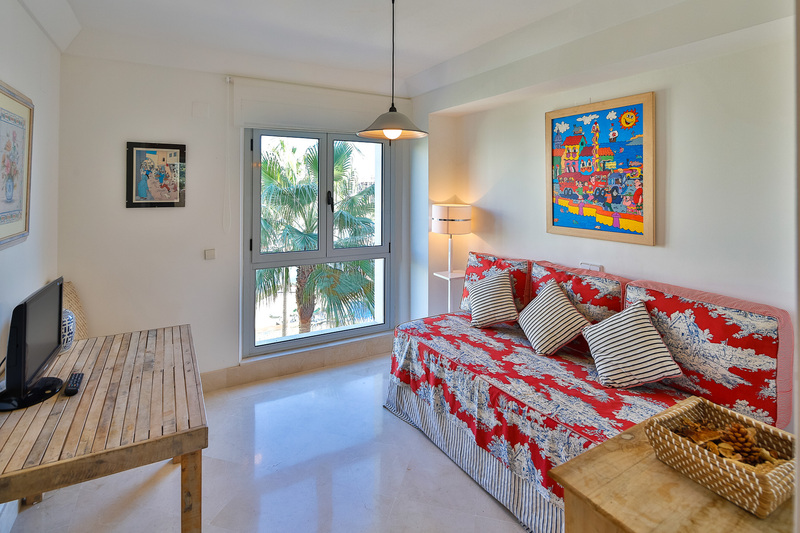 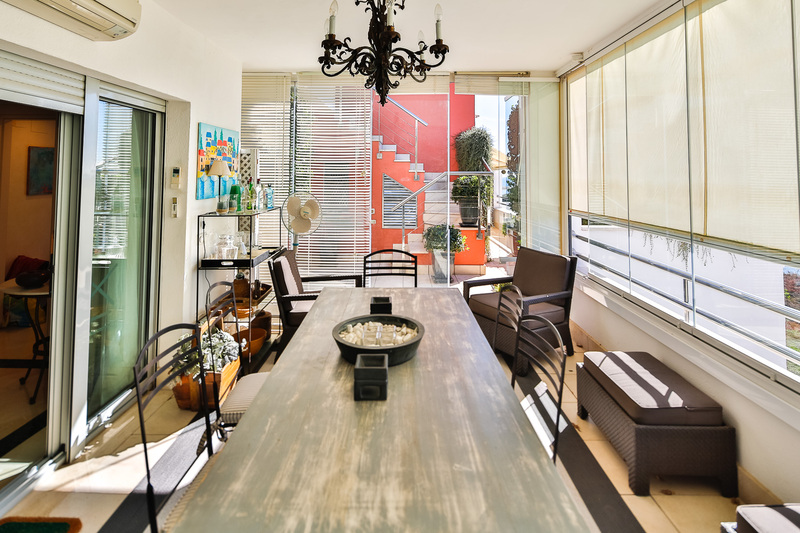 The penthouse offers a marvelous top floor terrace with private pool. 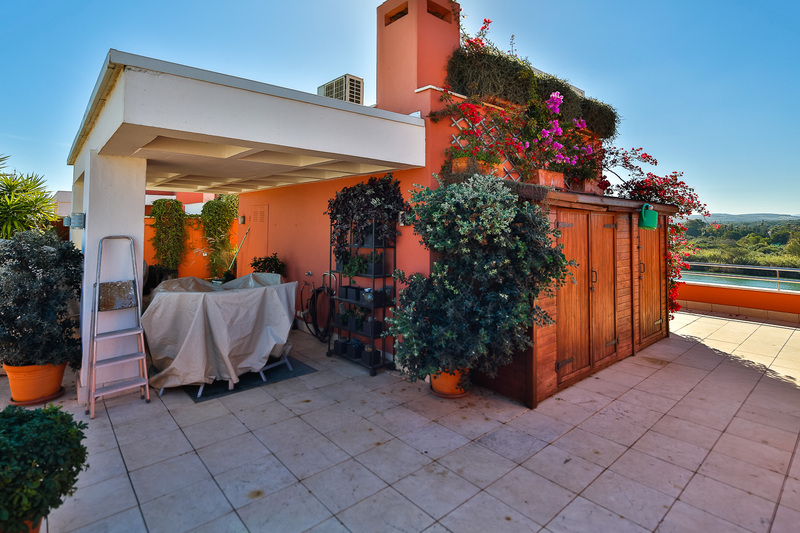 This unique property enjoys 2 storerooms and 5 parking places in the communal garage.